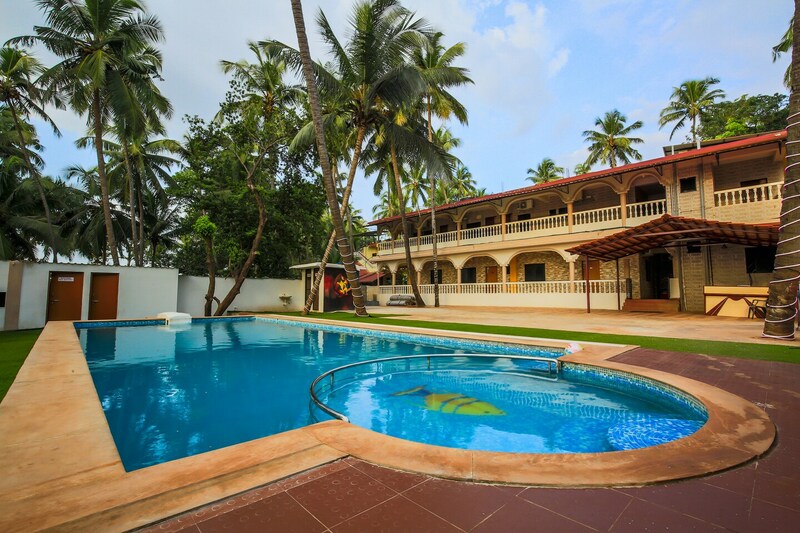 Sulit Comforts is a luxurious property near two popular hotspots in Goa, St. Alex Church and Calangute Beach. The property provides you with all the lavish facilities like swimming pool, an in-house restaurant along with a bar, making it perfect for the new generation of travelers. The rooms are quite elegant with minimal decor and bright-hued walls. The bed is queen sized with a cozy mattress, making it feel like home. Amenities like TV, AC and free Wi-Fi are included. A huge dining area, suitable for family lunches and dinners is also there. Power backup, parking and CCTV cameras are also provided. You will find eateries like Navtara Veg Restaurant, Just Lobos and Fat Fish in the vicinity.